City of Leeds scoop 43 medals in a suc­cess­ful week­end full of Christ­mas cheer. Con­grat­u­la­tions to the Junior League Team who won the North­ern Final on Sun­day 2nd Octo­ber 2011 at the Tynemouth Pool. They Com­pete in the Nation­al Final at Cor­by on the 27th Novem­ber look­ing to defend their title. After near­ly a decade of ser­vice, the cur­rent track­suit is being retired to make way for a fresh new design which will be avail­able to order at the Club Shop from this Mon­day, 10th October. Triath­lete Gor­don Ben­son takes yet anoth­er vic­to­ry and is called up to rep­re­sent GB at World Championships. Youth swim­mers dis­play out­stand­ing con­sis­ten­cy and strength in depth to fin­ish the five day meet as sec­ond top team overall. City of Leeds Swim­mer and Inter­na­tion­al Triath­lete Gor­don Ben­son claims two sil­vers in major euro­pean events. Golds from Kiani Camp­bell Grady and Katy Fish­er helped to see Leeds crowned the top age group girls team in the land. City of Leeds swim­ming star Claire Cash­more is on the crest of a wave after claim­ing five medals and help­ing break two records at the recent IPC Euro­pean Cham­pi­onships in Berlin. Final week­end of the NER Bag­cat Cham­pi­onships sees our gold medal tal­ly double. Great indi­vid­ual and relay per­for­mances see Leeds top medal table after first week­end of NER Bag­cat Championships. 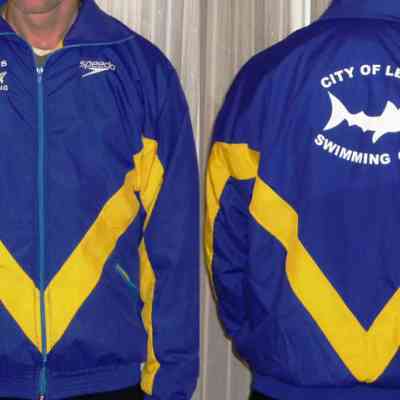 17-year-old City of Leeds Swim­ming Club mem­ber wins Men’s Junior Elite age group, plac­ing 7th overall. Annu­al Sport­sAid Uni­son meet shows swim­mers are in good shape approach­ing end of sea­son meets. Report from NER Senior/​Youth Cham­pi­onships and spe­cial com­men­da­tion for Sam Lawman. 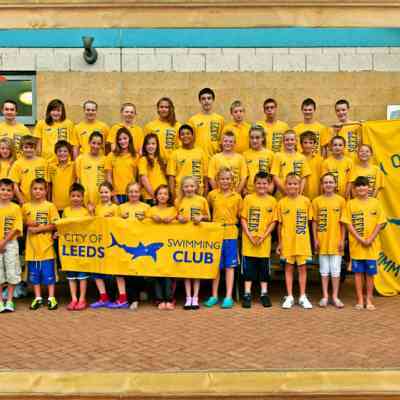 The City of Leeds Swim­ming Club returned from a five year absence to storm to 3rd place in the 2011 Nation­al Are­na Swim­ming League Cup Final. Meet lives up to its name with many Leeds swim­mers post­ing qual­i­fy­ing times for the Nation­al Age Group Championships. 22 Golds, 19 Sil­vers and 19 Bronzes con­cludes a suc­cess­ful 2011 York­shire Cham­pi­onships campaign. Plans for the day out­lined by Head Coach Dave Calle­ja and how to get your tick­ets for the biggest team event of the year! Leeds swim­mers excel over both week­ends as Com­mon­wealth Games final­ist Anne Bochmann and vol­un­teer Jack Fer­ri­day receive awards. The club has recent­ly intro­duced the ASA Com­pet­i­tive Swim­ming Per­for­mance Awards as a pro­gres­sive incen­tive to the swim­mers to ulti­mate­ly achieve their Coun­ty Cham­pi­onship standards. Our swim­mers are mak­ing yet more head­lines; this time on the BBC News website.